U.S. District Judge Martin Feldman, in New Orleans, Louisiana, has issued a preliminary injunction against the Obama administration's ban on deep water offshore drilling. President Obama had ordered a six month moratorium on drilling at depths of more than 500 feet, in response to the continuing oil spill in the Gulf of Mexico. White House Press Secretary Robert Gibbs said in response to the ruling: "The president strongly believes, as the Department of Interior and Department of Justice argued yesterday, that continuing to drill at these depths without knowing what happened does not make any sense". While Gibbs argued that such drilling "potentially puts safety of those on the rigs, the safety of the environment and the Gulf at a danger that the president does not believe we can afford right now," Judge Feldman disagreed, saying in his ruling, "the court is unable to divine or fathom a relationship between the findings (of the government) and the immense scope of the moratorium. The plaintiffs assert that they have suffered and will continue to suffer irreparable harm as a result of the moratorium. The court agrees." Gibbs said that the Obama administration would immediately appeal the ruling. Industry groups such as the Offshore Marine Service Association, representing companies that provide boats and equipment to the offshore drilling industry had opposed the ban, claiming that the government had not shown that existing operations posed a threat to the Gulf. Louisiana Governor Bobby Jindal and Senator Mary Landrieu (D-Louisiana) had also opposed the ban and encouraged the Obama administration not to appeal the ruling. 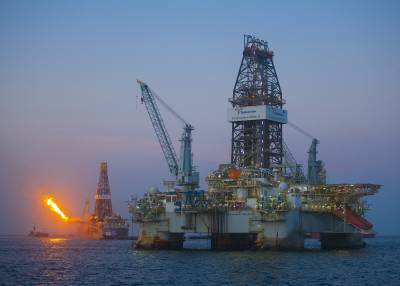 Ken Wells, the president of Offshore Marine Service Association, said many offshore drilling industry workers and small business owners are losing their jobs and Feldman's decision may help the industry to survive. While he sees the ruling as positive, his optimism is "tempered by the realization this is a big, strong government. And if they want to keep fighting on this, they will keep fighting." On April 20th, the Deepwater Horizon oil drilling rig exploded and sank off the coast of Louisiana. Eleven workers were killed in the blast. According to government estimates, up to 60,000 barrels (2.5 million gallons) of oil is gushing from the well into the Gulf each day. On Tuesday, British Petroleum (BP) said it collected 25,830 barrels of oil from the well over the past 24 hours, surpassing its collection Thursday of 25,290 barrels. Besieged by protesters at an oil conference in London, BP announced Tuesday that it will donate its net revenues from the sale of the recovered oil to the National Fish and Wildlife Federation. BP Chief of Staff Steve Westwell said that the past few weeks have been "extremely difficult for BP". "It has been hugely shocking for us, for America, and for the rest of the world. Everyone at BP is devastated, and we deeply regret what's happened. Our hearts go out to those who have lost loved ones. And we are profoundly aware of our responsibilities to those people whose livelihoods and neighborhoods have suffered." BP said Monday that its costs for containment, relief well drilling, grants to Gulf states, and claims paid have totaled around $2 billion so far, in addition to $20 billion set aside in an escrow claims fund.